Extra Insert Card (₹15.00) This must be a number! 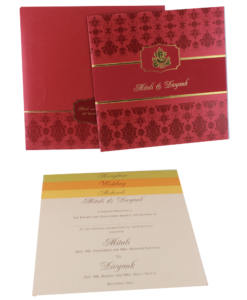 Card Printing (₹1,000.00) This must be a number! RSVP Card (₹15.00) This must be a number! 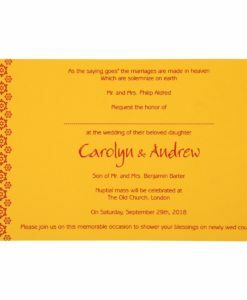 RSVP Envelope (₹15.00) This must be a number! Thank You Card (₹20.00) This must be a number! 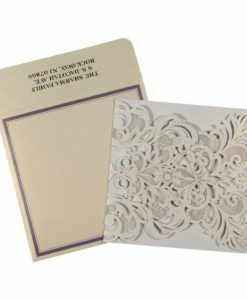 Table Card (₹10.00) This must be a number! Program Card (₹30.00) This must be a number! Carry Bag (₹60.00) This must be a number! 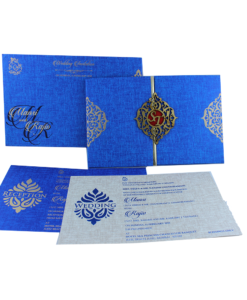 Wedding – the most auspicious and important ceremony of anyone’s life, can now be charged with more grandeur and happiness by using Vivahcards! 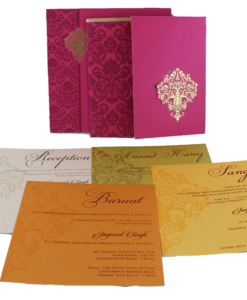 Vivahcards is a house of designer wedding cards that can add value and elegance to your wedding plans and its celebration. 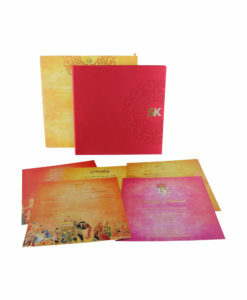 Wedding Cards, Invitations, Invitation Cards, Indian Wedding Cards, Designer Wedding Invitations, Exclusive Wedding Cards, Best Wedding Cards, Top Wedding Cards, Best Invitations, Hindu Wedding Cards, Sikh Wedding Cards, Christian Wedding Cards, Muslim Wedding Cards, Theme Wedding Cards, Birthday Cards, Thank You Cards, Anniversary Cards, Engagement Cards, Occasion Invitations, RSVP, Sweet 16 Cards, Box Wedding Cards, Kankotri, Online Purchase Wedding Cards, Customize Wedding Cards.